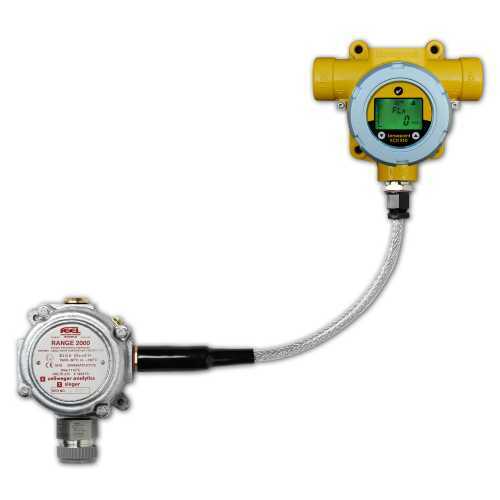 Honeywell Sensepoint XCD RFD remote flammable transmitter..
Sensepoint XCD RFD (Remote Flammable Detector) has been specifically designed for use with remotely mounted flammable gas sensors. This configuration is ideal for applications where the sensor is required to be mounted remotely from the transmitter in areas where temperatures are well above ambient (up to 150°C), or that are difficult to access. The transmitter can be mounted at a suitable location away from this area where it is easy to access, view its display and interact with via the user interface. Sensepoint XCD RFD is suitable for use with several of the Honeywell Analytics’ sensors; the Sensepoint XCD catalytic bead and infrared type plug-in sensors and the Sensepoint standard and high temperature sensors. These sensors can be mounted up to 30 metres (100 feet) away from the transmitter thereby accommodating even the most remote and inaccessible applications.The gas range is user adjustable at the transmitter from 0-100% LEL down to 0-20% LEL. The 0-20% LEL range is particularly suited for use with the Sensepoint high temperature sensors that have thermally matched beads providing optimum accuracy and stability allowing alarm set points as low as 5% LEL. The transmitter’s tri-colour backlit LCD clearly indicates status at a glance, even from a distance. A steady green backlight indicates normal operation, flashing yellow indicates fault and flashing red indicates an alarm. Outputs include 2 programmable alarm relays, 1 programmable fault relay as well as 4-20mA output (sink or source selectable).The range, relay operation, alarm set points and electronic tag number of the detector can be adjusted using the transmitter’s LCD and the non-intrusive magnetic switches. 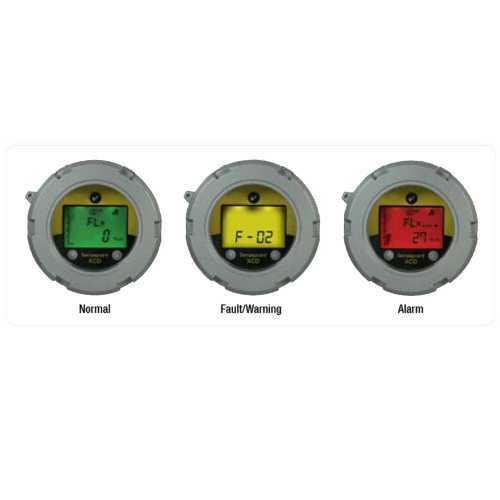 Outputs are automatically inhibited during adjustment thereby reducing the risk of false alarm at the control panel during maintenance. Sensepoint XCD RFD from Honeywell Analytics (manufacturers of toxic and flammable gas detection systems under the Sieger and Zareba brands) can be used 'stand alone' or with a choice of controllers such as the Honeywell Zareba Unipoint, or operated from a customer´s own existing system due to the use of industry standard outputs. 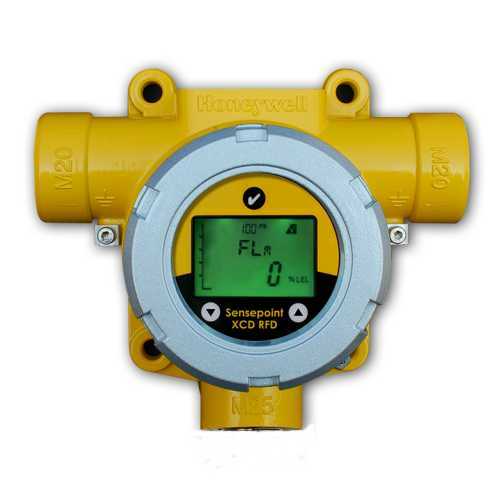 Suitable flammable gas sensors for use with the XCD RFD can be selected from the Honeywell Sensepoint or Sensepoint XCD ranges.